Profiles in Help Scout are built automatically when a customer emails your support address for the first time. We'll also create a profile when you compose a new conversation on behalf of the customer. This article talks about editing and updating profile information. 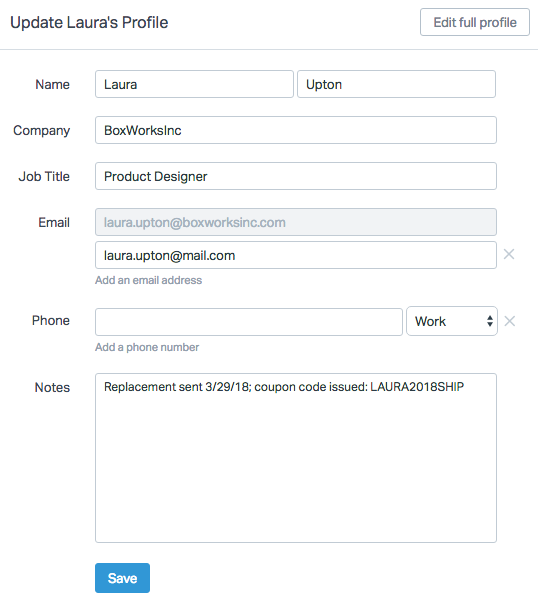 You can modify customer profiles by clicking on the the customer name located in the sidebar. The Notes field is a good place to add general notes, as those notes show up in the sidebar when you're working on a conversation. Don't forget to save your changes. You've probably noticed that we automatically sync in some data about your customer, like their websites, social media profiles, and more. Help Scout integrates with a third-party service called FullContact, which crawls the web to pull in publicly available information, including images. 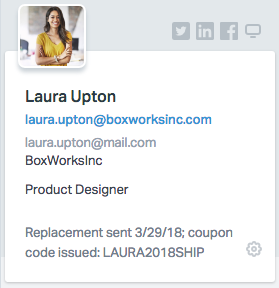 If the profile data is not accurate, you can direct the customer to this page to claim and edit their FullContact profile. However, there is also some housekeeping that you can do within Help Scout, such as removing their image by clicking on the red trash can icon on their photo on their full profile page. You're also able to overwrite certain data, like their website and social media profile URLs, as well as inputting a new address to replace the incorrect one. If you'd prefer not to have any data synced from FullContact to Help Scout, have the Account Owner or an Administrator head to Manage → Company Settings → Edit Company, and toggle the "Enrich Customer Data" off. This will not remove any previously-synced data, but it will prevent any new data from being pulled from FullContact.